There seems to be, or at least there once was, a perception among some doctors that patients are more likely to take their medication if they only need to do so once a day, and at bedtime. Author Susie Bright discussed this when explaining why doctors preferred to prescribe a certain brand name medication that required one dose a day, as opposed to its generic counterpart that required two. My doctor in Silicon Valley seemed to have that perception. When I first started seeing him I wasn’t taking any medication, but eventually I was taking both blood pressure and cholesterol medication. The blood pressure medication evolved to include a diuretic, but my doctor continued to reiterate the “once a day at bedtime” regimen. At one point my pharmacist in Gilroy raised his eyebrows when I said I was taking everything at night, but I didn’t change my routine. When we switched to Kaiser this year we had to do consultations with the pharmacists on our medications as we were new in their system. Again, the pharmacist mentioned taking the diuretic combo pill in the morning. I decided that maybe I should pay attention. I switched all of my medications to the morning. Big difference. Fewer bathroom trips at night and longer blocks of continuous sleep. My daytime routine is hardly altered at all. It pays to listen to the pharmacist. When I was growing up, my dad would put charcoal on the grill outside, light it with lighter fluid, and then we would cook hamburgers. We called that barbecue. When I moved to Oklahoma at the end of the 1970s I learned that barbecue was when you cooked chicken, beef, or pork in smoke at a low temperature for a long time. When I moved to the Bay Area in the mid 1980’s I learned that cooking outside was called grilling. Whatever it’s called, Terry and I did a lot of it during our years in Gilroy. We bought a gas grill and it got a lot of use. We left it behind when we moved south in 2015 and have very much missed it. 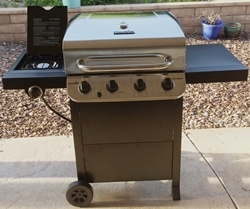 Recently, however, with Terry having a part-time job and me getting a little freelance income we decided we could afford a new gas grill. We bought one from Amazon, put it together, and immediately fired it up. Whether it’s barbecue or grill, we love it. 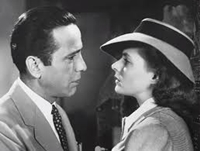 I recently read a review about a new book on the movie Casablanca. It reminded me of some things I had read in the past. Apparently the first choice for Rick was Ronald Reagan. Really? That never would have worked. The movie holds up well. We have it both on Blu-Ray and DVD. Terry and I like to watch it on a cold winter’s Saturday evening, preferably with a bottle of port. The ending always brings tears to both of our eyes. This is an amazingly simple but tasty recipe. Looking through my files I found a recipe for chicken mole, but I didn’t like the technique or the fact that it used frozen chicken. So I did it my way. Spoon half of the mole into a bowl. Mix with enough water to make a sauce to your liking. Coat the chicken in the mole sauce. Heat 2 cups of water in the microwave for 4 minutes. Put the rack in the electric pressure cooker. Add the water. Put the chicken on the rack. Set the pressure cooker to 10 minutes on High. Allow natural pressure release for 10 minutes, and then do a manual pressure release. It’s been too long since I’ve shared a John Rutter work. Enjoy! 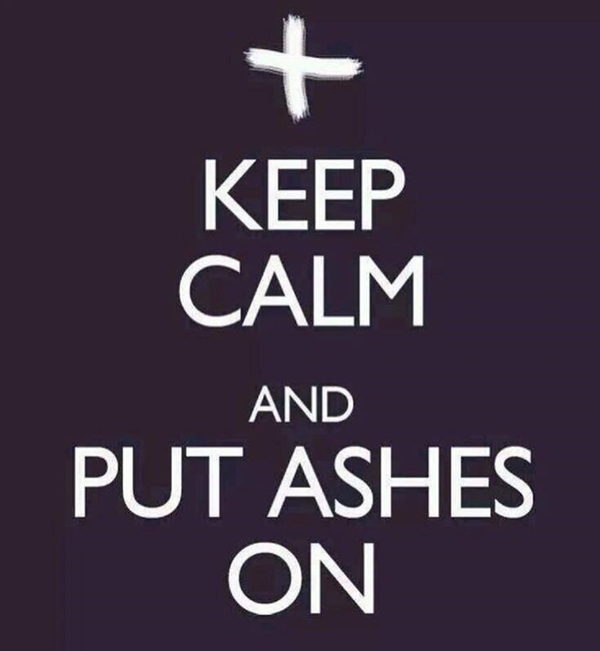 Some years I am ready for Lent. Other years I am not. This year I was not. I missed the Last Sunday after Epiphany because I was without my hearing aid. I missed Ash Wednesday for the same reason and because Tasha was in serious need for a trip to the groomer and Terry was working. I was, however, made very much aware of the season on the first Sunday of Lent. We did the Great Litany. Sigh. “From the Great Litany, Good Lord deliver us,” Father Phil in Morgan Hill once said. We are now deep into Lent, and I’m just not there with it. It’s simply one of those years, I suppose.